HD Ratings: Doctor Who … Who Cares? The much ballyhooed movie-length season premiere of Doctor Who on Friday lost to MasterChef Australia and The Graham Norton Show in TVNZ 2’s core commercial demographic, 18-49 year-olds. It averaged 3.4% over 90 minutes vs MasterChef’s 3.3% and Norton’s 3.2%. But the first hour was largely beaten by MasterChef and the last half-hour by Norton. The story was the same in the 18-39 and 25-54 demos. The premiere opened with 4.7% of 18-49 but closed with only 3.3%. More 25-54 viewers — 6.3% — tuned into the start but only 3.7% were there for the end credits. In the 18-39 demo, the decline went from 4.1% to 2.5% and among household shoppers with kids, from 5.5% to 3.3%. 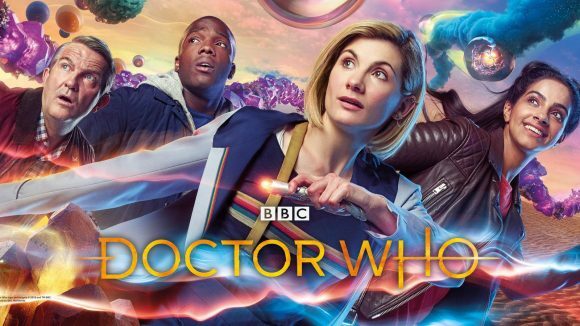 It will be interesting to learn how many OnDemand streams there were in the five days preceding Doctor Who’s broadcast and how much impact this may have had on overnight ratings. Meanwhile, Doctor Who lead-out Star Trek Beyond averaged 2.4% of 18-49s vs 7 Days’ 4.3% and All Round to Mrs Brown’s 1.8%. In the 25-54 demo, Mrs Brown averaged 2.5%, 7 Days 4.9% and Star Trek 2.7%, although the first hour of the movie was up sharply on Brown. Ouch. Heavily promoted, topical change in Doctor, good ratings in the UK – and only c60k viewers in the 18-49 demo. One would like to hope that streaming numbers saved the investment in the franchise by TVNZ but the silence is deafening. It’s stupid having Doctor Who on a Friday, it should be on Mondays, like the Aussies are doing. Wake up, TVNZ. It’s stupider having Dr Who on TV2 … Duke is way more in its genre … those dancing idents going into ad-breaks just jarred. Have seen the first two episodes. OK, but the jury’s still out. Agree it should be on Duke.